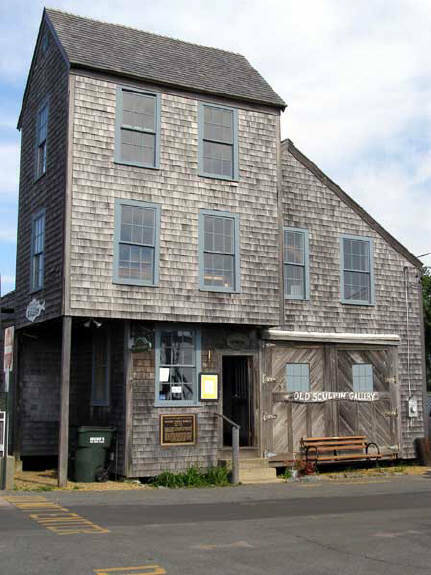 Did you know: The famous Spielberg film Jaws was filmed on Martha's Vineyard at Menemsha, Oak Bluffs and Edgartown. "If you like stories that are about greed and fraud as well as murder and money, then this is a book for you... A great summer read." - Amazon Vine Voice Top 500 Reviewer. Martha's Vineyard lays off the coast of Massachusetts - a one-hour ferry ride from Woods Hole or a very short plane trip from Boston. Although relatively small, the island offers a wide variety of scenery…from the misty beach at Cape Poge on Chappaquiddick…to the quaint fishing village of Menemsha…the colorful Victorian houses of Oak Bluffs in the North…and the spectacular ocean vistas at Gay Head (Aquinnah)…Martha's Vineyard is a jewel in the Northeast. We recommend taking a plane trip from Boston rather than the ferry from either Woods Hole or Hyannis Port to avoid long lines and multiple forms of necessary transportation. Called "Noepe" by the Indians, a word which means "in the midst of the sea", Martha's Vineyard is the largest island on the southeastern coast of Massachusetts. Martha's Vineyard was incorporated on November 1, 1668, along with Chappaquiddick, "Notman's Land" and the Elizabeth Islands, all part of Dukes County. Norsemen first visited the island around the year 1000 in their exploration of the northeast coast of North America. Italian explorer Verrazano sighted the island in 1524 and Bartholomew Gosnold of England sailed here in 1602 and named the island in honor of his mother Martha. Local Wampanoag Indians inhabited the area and thrived on fishing until English settlers found the island ideal for the same pursuit. Nearby Nantucket Island became the whaling capital of the world in the 1880s - 1890s. Edgartown - the largest town on the island - was named after the first son of the Duke of York. The movie "Jaws" was filmed here in 1975 and caused greater media attention to the island. You should try to spend at least 3-4 days on the island to get on 'island time'. Martha's Vineyard residents take great pride in their beautiful gardens and a walking tour around the outskirts of Edgartown allows wonderful views of New England clapboard houses surrounded by gorgeous floral arrangements. 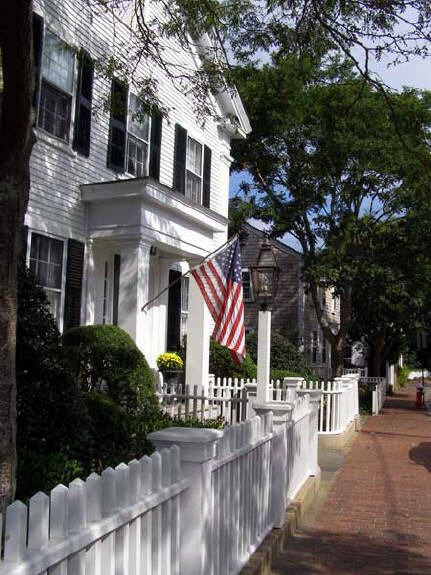 Edgartown is the place to go for the best in fine dining, great shopping, art galleries, sunset cruises and night life. Martha's Vineyard has many bike paths that take you around the island. Rent a bike at Wheel Happy in the morning and take the Ocean Road to Oak Bluffs - an easy 30 minute ride. For another option, take the ferry over to Chappaquiddick, ride out past the Oriental (My Toi) Gardens to Cape Poge Beach and Wildlife Refuge where the morning fog kisses the beach and you can rent a canoe or ocean kayak to explore the beautiful inlets. 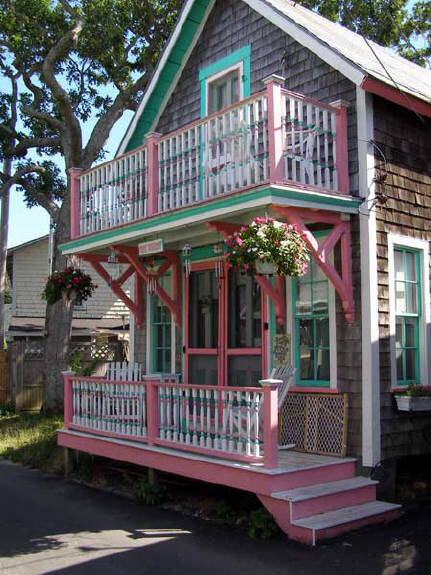 Stroll the quaint streets past the many art galleries and nautical-themed shops back in Edgartown and pick up some great gifts, along with perhaps a pair of Summer shorts (a popular color is “Nantucket red"), tops, belts and T-shirts. The Edgartown Inn has hosted celebrities, congressmen and other statesmen since the 1800's- but the best waterfront view is at the Harborside Inn. Oak Bluffs to the North boasts the oldest merry-go-round still in operation in the U.S. (the Flying Horses Carousel, 1876). It also has over 300 Gingerbread Cottages built as a result of Methodist Church camp meetings. There are quaint shops along with the main docks for the ferries to Nantucket and back to the mainland. Vineyard Haven is a miniature Edgartown, with a bit less hustle and bustle, but many quaint shops and good food. Bookstores and antique shops, art galleries and furniture stores give you a wide array of shopping options. My favorite bookstore- the Bunch of Grapes- has now "risen from the ashes" and is re-opening for business!!!! 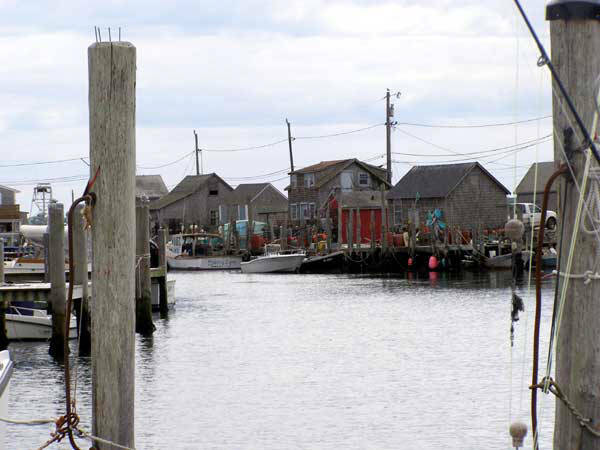 Menemsha is the place to go to get away from the crowds, where you can get fresh seafood right off the boat and stroll the waterline where the fishing boats come in… This is also the town where much of the movie "Jaws" was filmed along with scenes in Edgartown. A short trip west to Gay Head (Aquinnah) allows you to see the best panoramic ocean views on the island. James Taylor, Livingston Taylor, Carly Simon and other folk-rock heroes of the early-mid 1970's have owned homes and spent time on Martha's Vineyard and have often played at the Hot Tin Roof. There are several bike trails around the island and the Island Transit Authority offers prompt and convenient bus service to all points of interest. Beaches - Martha's Vineyard has several beaches - each with its own style. We recommend South Beach (Katama) for standard sunbathing and 'kids in the sand' activities; Cape Poge beach for quiet solitude away from the crowds; Moshup beach near Gay Head for the most picturesque views (the beach has fantastic rocks and spectacular views of the Aquinnah cliffs).